On sale! 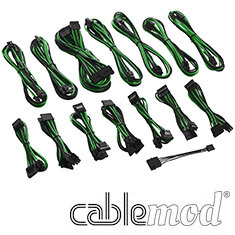 (normally $129) Made from premium materials and crafted with the utmost care, CableMod cables can turn even the most ordinary systems into works of art. 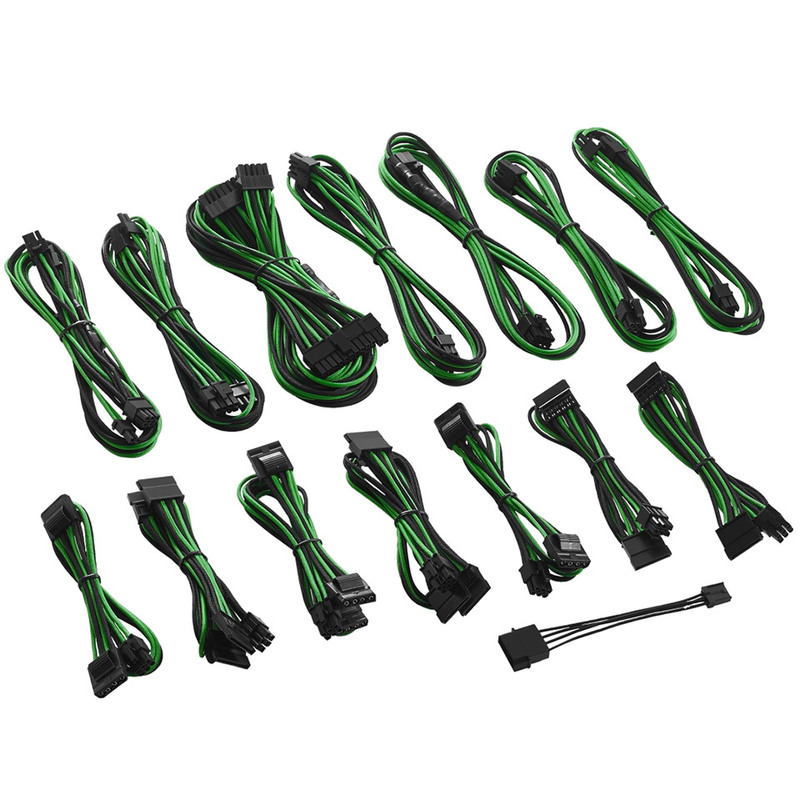 Made with input from the modding and PC enthusiast community, this premium cable kit is a full replacement set compatible with Corsair RMi & RMx power supplies. 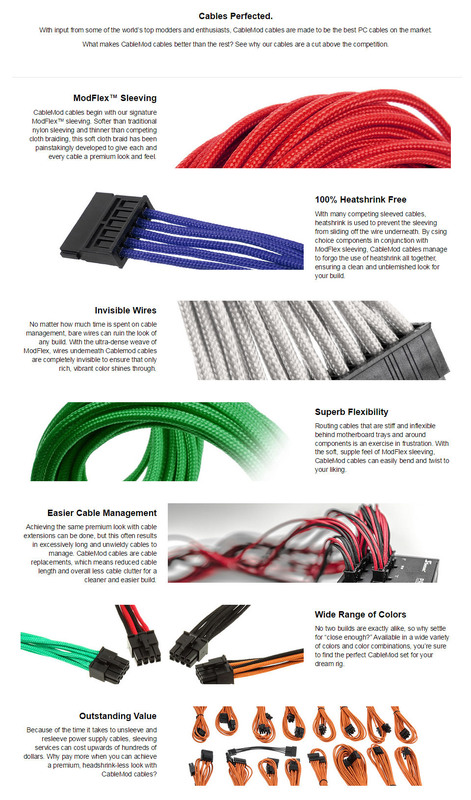 Featuring CableMod's signature ModFlex Sleeving, these cables not only look great, but are extremely flexible and easy to work with. Note: Please check the CableMod compatibility page to confirm if this will be suitable for your power supply here.